Balance makes us think of several things, but mostly it means equal. When we’re talking about work-life balance, it’s easy to think that we want to find an equal amount of time for our lives and our work, but that’s not the case. What’s more is that finding a balance for one person may be much easier than the next. Life isn’t easily scheduled, nor should it be. Life happens. Ups and downs come. It would be great if we could schedule major life events like a yearly physical, but that’s impossible. What work-life balance means is equal parts achievement and enjoyment. 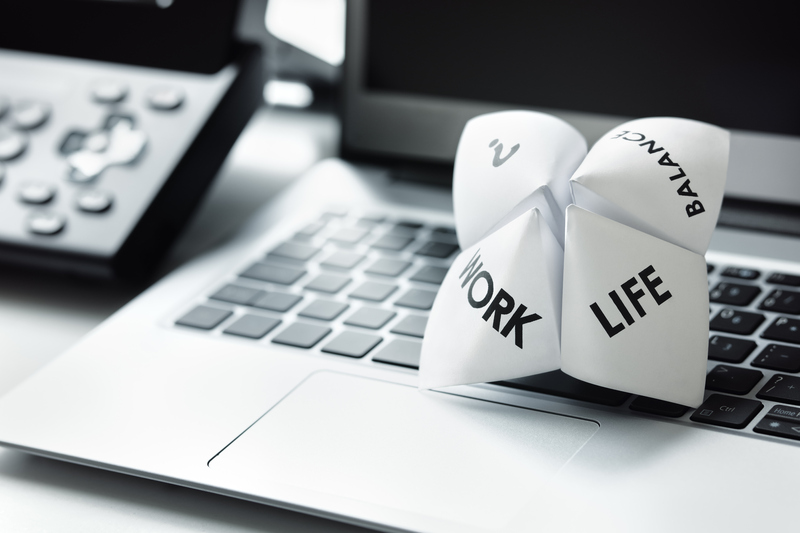 It should come as no surprise that with a new generation comes new views on work-life balance. To be fair, a lot has changed in the life of an employee. Before we had the 40-hour workweek, employees worked themselves to death. They gave all they could to a company – long days, intense labor, and only a single day off. It all shifted, and there was a better balance of work to life when the 40-hour workweek was established. There was more we could do with the time that didn’t require us to be in factories. Technology may have set that back a little bit. With technology, we’re always connected. We no longer have to go into work to have updates, messages, or emails from work because they can all come through to our phone. In some ways, technology seems to have set us back to a time when it was all work and no play. Considering this, it’s not hard to see why newer employees want more balance because the balance has shifted yet again to favor work. As we learned before, no two people are the same with what they require for balance. Don’t surprise potential employees about the ratio you’re offering. Be upfront with them when they’re hired. Know what kind of culture you want to foster in your workplace and strive for that. Tell them about that culture, and make sure you’re working toward it. Stress is a budget killer. Stress has been shown to be the biggest medical expense to employers, and when an employee is working a lot of hours, going home just to sleep, and then coming right back into work, they’re going to accumulate their fair share of stress. You can help eliminate workplace stress! Support their lifestyle. Avoiding stress and burnout isn’t difficult, as it turns out. Most people entering the workforce today care about what everyone before them cared about: financial stability. They want a workplace that will allow them to survive and to live the lifestyle of their choosing. Embrace flexibility. Don’t make schedules so rigid. Allow for a bit more fluidity with work with fun breaks and days they’re allowed to work from home to help them recharge. Focus on health. This is more than having great medical coverage (which is encouraged). Help with a gym membership so employees can unwind, or have a gym installed on-site so they can work out on lunch breaks if they choose. Counseling. While you’re focusing on employee’s physical health, why not take it a step further and help with their mental health? Consider having a counselor on staff that employees can talk to when they need to work things through. Daycare. A big struggle for working parents is finding a place they can afford for their children when they’re at the office. Having a daycare at your workplace would allow them to visit their children on breaks as well as having a place for their kids to go that they don’t have to pay for. A good work-life balance is an advantage you can leverage! Not every employer is going to put this kind of thought and care into their employees, and no employee is going to apply for one job at a time. You have a culture you’re fostering, and the right employees will care about that culture. More importantly, the right employees will be eager to help with it! Achievement and enjoyment can be part of your workplace. Employees thrive when they know they’re doing well. When they’re congratulated and rewarded for their efforts, they’re more engaged with work, and they do better. With crewHu, we make employee recognition easy. Because work is hectic, our service will even remind managers that an employee is due for recognition so they won’t have to keep track themselves!